Published March 19, 2015 at 900 × 600 in Which Goals Can Telemarketing Help You Achieve? 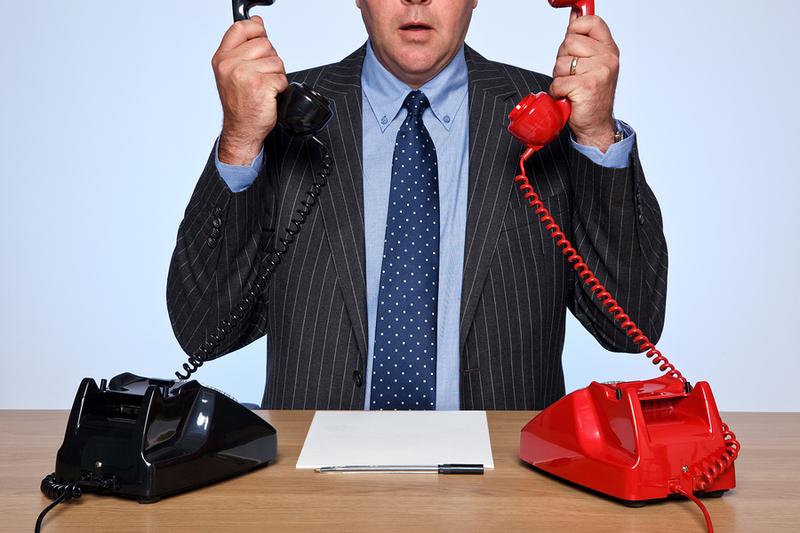 Photo of a businessman sat at a desk with two traditional telephones, one red and one black. Both handsets are raised and he doesn’t know who to talk to first.